Harvard University Press, 9780674976825, 400pp. Two core components of liberal democracy--individual rights and the popular will--are increasingly at war with each other. As the role of money in politics soared and important issues were taken out of public contestation, a system of "rights without democracy" took hold. Populists who rail against this say they want to return power to the people. But in practice they create something just as bad: a system of "democracy without rights." 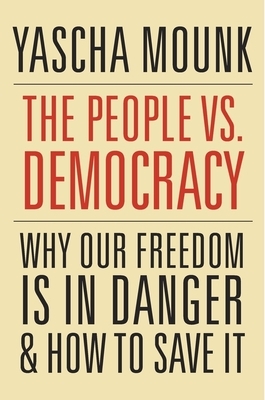 The consequence, as Yascha Mounk shows in this brilliant and timely book, is that trust in politics is dwindling. Citizens are falling out of love with their political system. Democracy is wilting away. Drawing on vivid stories and original research, Mounk identifies three key drivers of voters' discontent: stagnating living standards, fear of multiethnic democracy, and the rise of social media. To reverse the trend, politicians need to enact radical reforms that benefit the many, not the few.